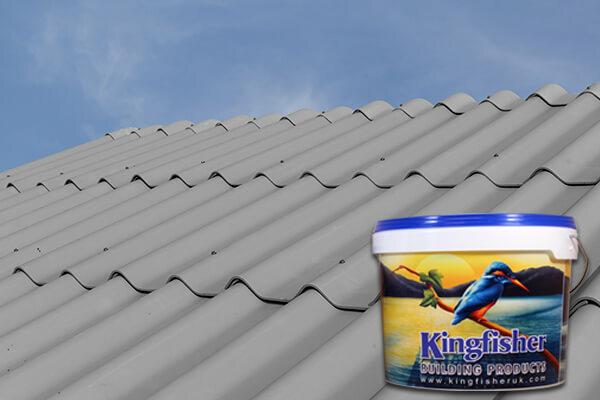 Kingfisher Asbestos Roof Coating is a premium grade, solvent-free, styrene acrylic material. It can be easily applied to a wide range of asbestos roofing and cladding sheets. These are usually found on industrial buildings and older domestic garages. Our paint for asbestos roof sheets is the economical way to extend the life of your roof. If asbestos roofing is left un-coated or un-protected, water can begin to seep through the underlying substrates and building architecture. That’s where our high-quality asbestos roof paint comes in, sealing and binding old asbestos fibres. 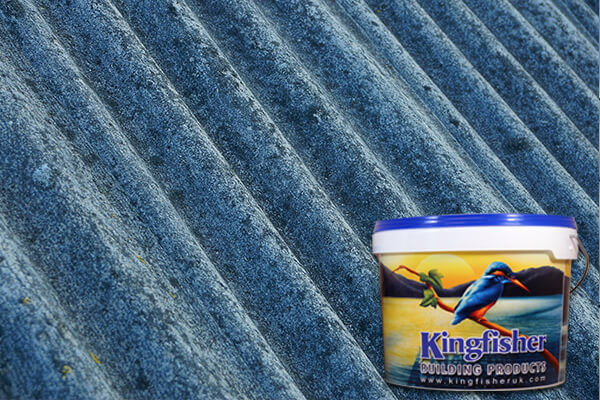 The attractive and high strength finish that the Kingfisher asbestos coating paint provides will never fail to impress. You can be sure of an enhanced appearance of your asbestos roof when using this roof paint. The years of research and testing we have spent on asbestos roof coating ensures that it is second to none. 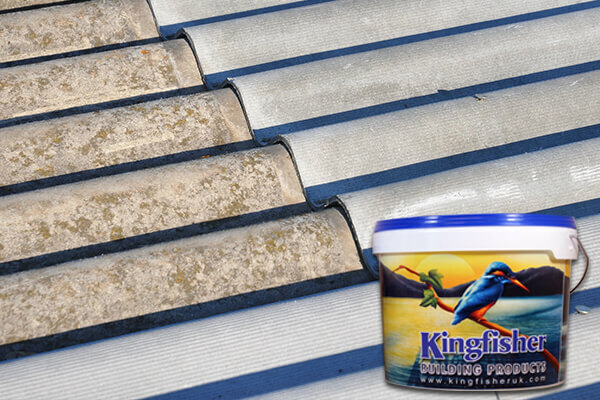 Kingfisher Asbestos Roof Coating is safe and very easily applied by a brush or high-pressure spray. It forms an attractive, high strength, fibre encapsulating finish, which will last for up to ten years. Take care when working with asbestos paint, excellent practical advice available on the HSE website (document A12). 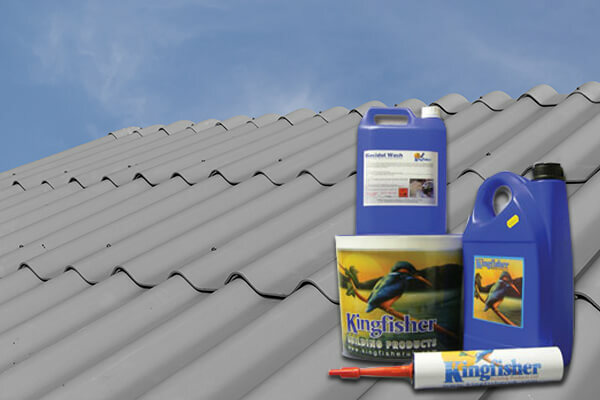 So, for a reliable and cost-effective asbestos roof paint, look no further than Kingfisher Building Products. Full application instructions can be found in our "How To" guide.